Don’t worry, Taylor Swift; Joseph Kahn has your back. 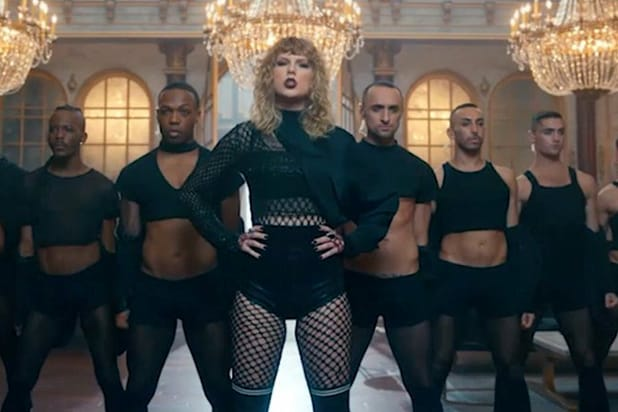 Kahn, who’s directed a number of music videos for Swift, including the lyric video for her recent single “Look What You Made Me Do,” came to the singer’s defense on Wednesday, slamming the “double standards” that he feels she’s been subjected to. As Kahn sees it, Swift’s penchant for planning out her career moves in advance have earned her a reputation as a manipulator — and that’s just “wrong,” Kahn said. “Like you said…,” Kahn said in the retweet. Swift sent her fanbase into a tizzy earlier this month, when her social media accounts and website went blank, sparking speculation that she was was preparing to release new music. After issuing a pair of cryptic, snake-themed videos, Swift gave her followers what they were looking for last week, releasing “Look What You Made Me Do” and announcing that her sixth studio album, “Reputation,” will be released Nov. 10. If I plan something as a man I’m a “genius.” If Taylor as a woman plans something she is “manipulative.” Double standards. This is wrong.